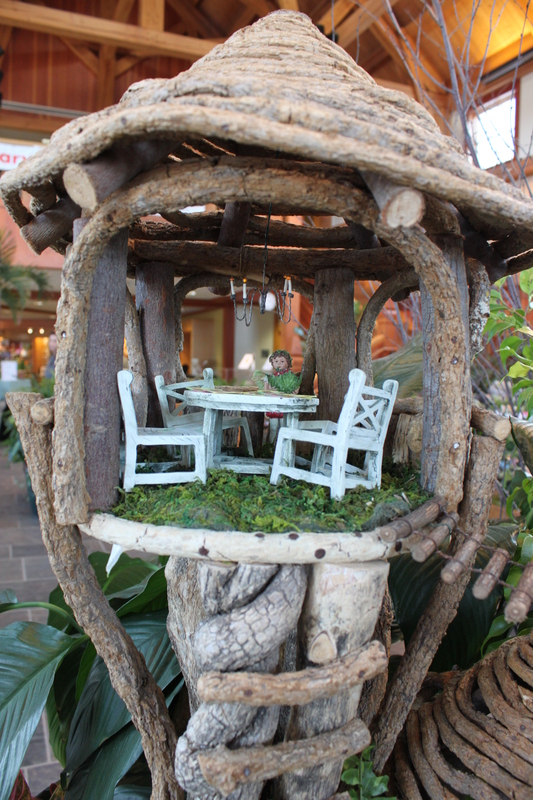 Last week I caught the Fairy Garden exhibit, called Tiny Treasures: Fairies and Gnomes, at the MN Landscape Arboretum. 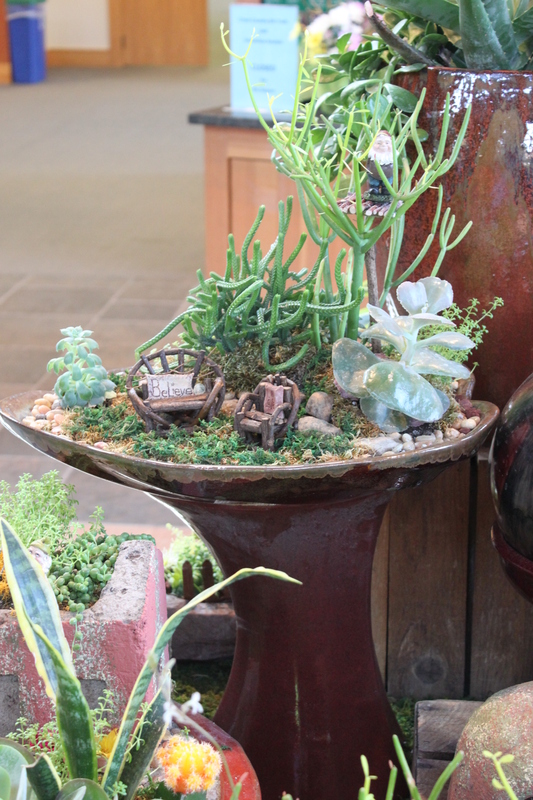 I’ve done a couple of posts on Fairy Gardens in the past and thought I would share a few pictures of the 2013 exhibit for inspiration. There were many more than shown here, but I chose to show you some of my favorites. As you may have noticed they added Gnomes to the mix this year. Which garden did you prefer? 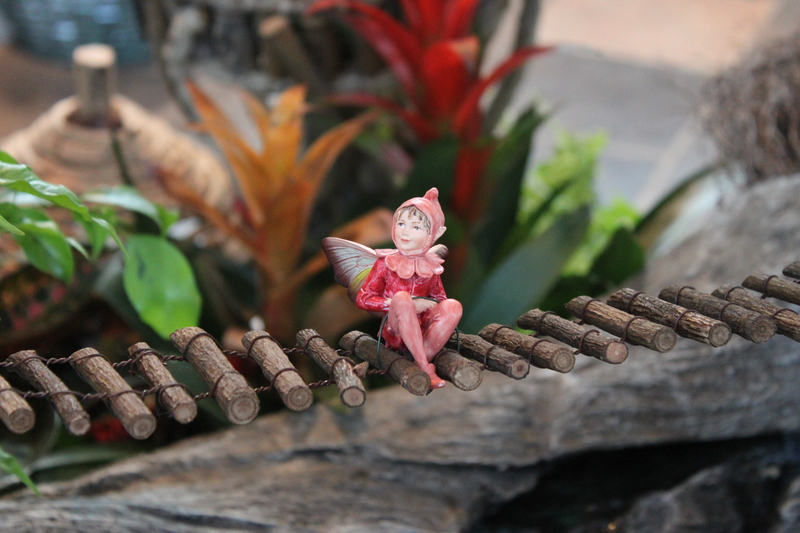 Do you like Fairies or Gnomes better? Are you inspired? Would you make your own? Thanks for stopping, Suzanne. 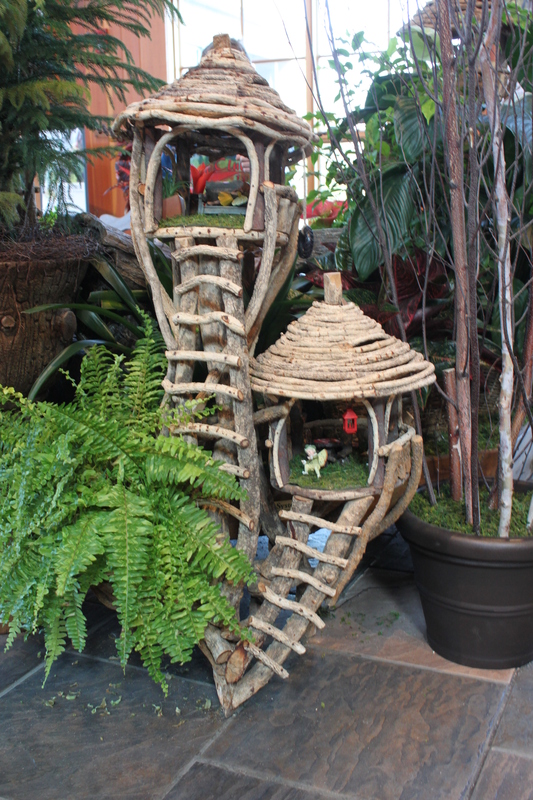 I’ll have to seek out the other fairy garden entry and check it out. 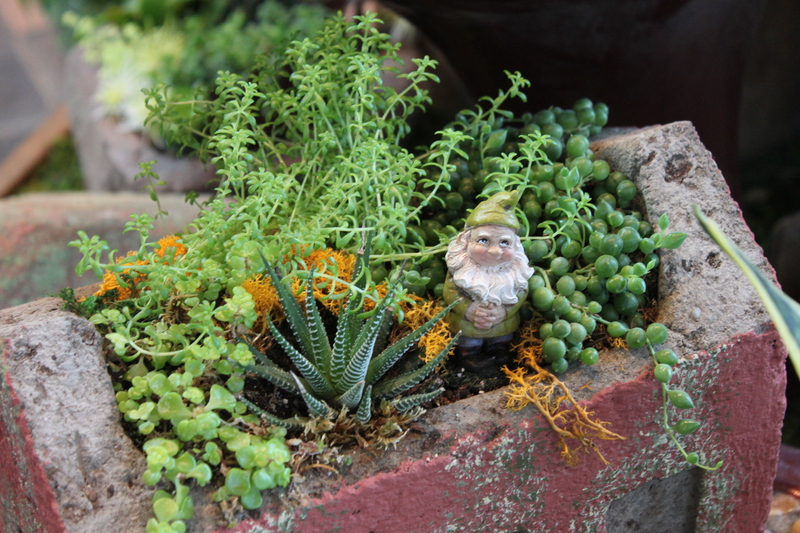 There seem to be more fairy followers than gnomes, but gnomes are definitely growing (pardon the pun). Thank you, Marti. Thanks for visiting. 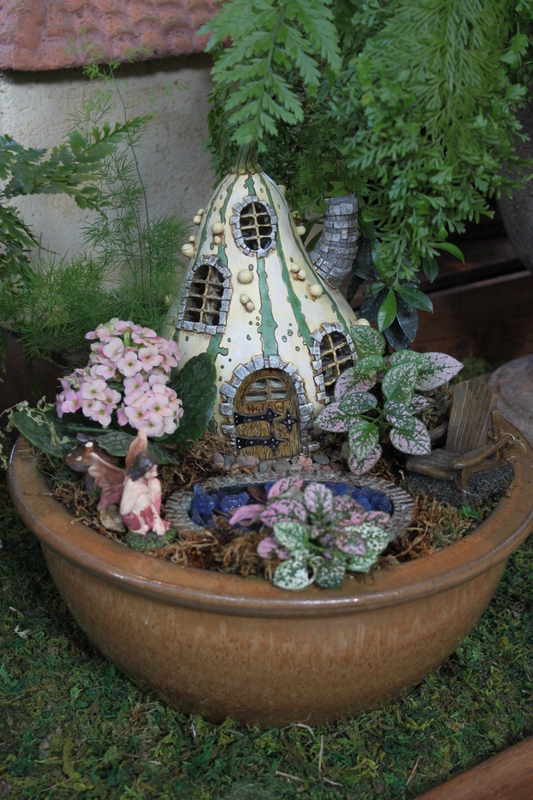 Love these fairy gardens! I would love to try one someday. Thanks for the inspiriation. 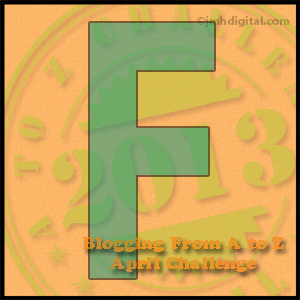 Stopping by from Blogging A to Z.
I think fairies are cool, with a whole world you could only imagine at. 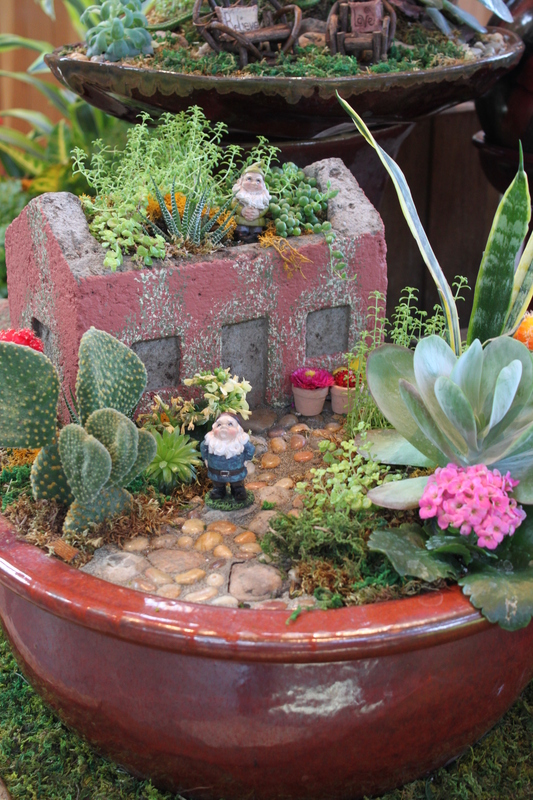 Gnomes, I’m much more ignorant about and see them more as comical (too many Travelocity commercials!). 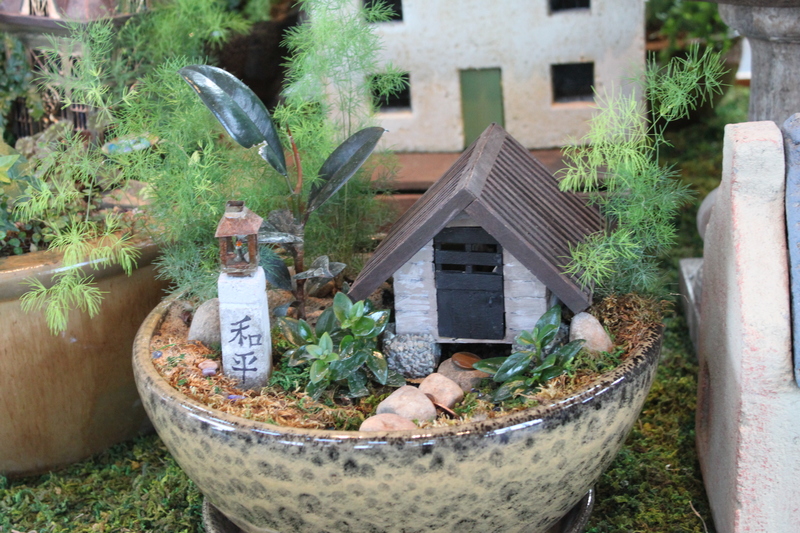 Just love your fairy gardens. Started off some succulents last summer and I have seen some lovely examples on Pinterest, but yours are superb. Thanks Linda. Wish I could take credit for them. I only took the pictures. 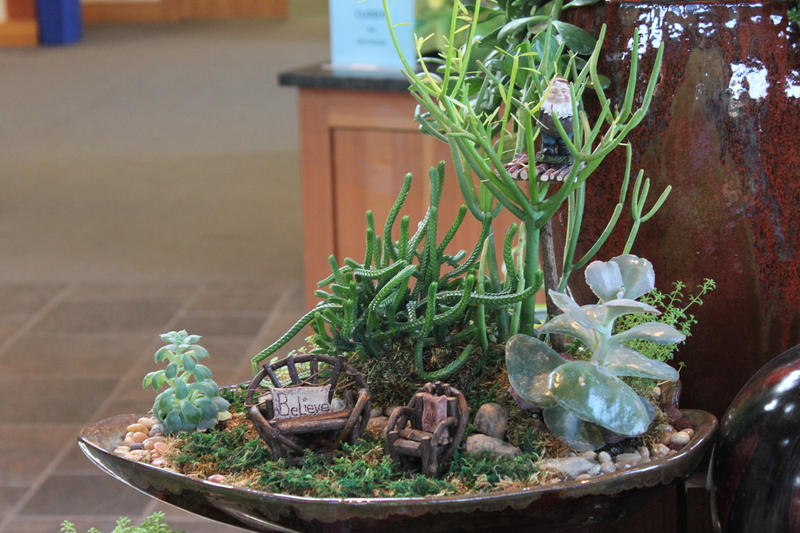 Our local Arboretum does an annual Fairy Garden display. It’s always a good stop for inspiration and I felt it was well worth sharing. Do you think they’ll be doing it again this year? I can’t find anything out there about it yet. I would be surprised if they didn’t. They have done it the past couple of years.